KEXP in Seattle recently took a trip abroad for the 2010 Iceland Airwaves Festival. In a blog post about the trip earlier this month, the station insists that if you “go see any band playing in a club in Reykjavík and you’re likely to be blown away by the originality, skill and catchiness of what you hear.” They recorded and broadcasted 10 Icelandic bands during live sessions from RÚV, the NPR of Iceland. 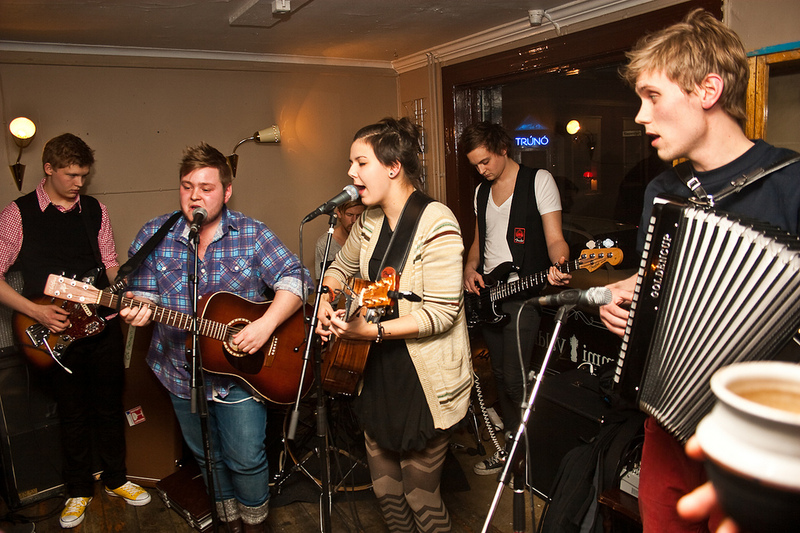 Among the bands was “the folky collective called Of Monsters and Men playing immediately lovable songs that will be a big hit over here in the States.” The band actually won the contest and for good reason. These guys are legit. Splendid find KEXP.